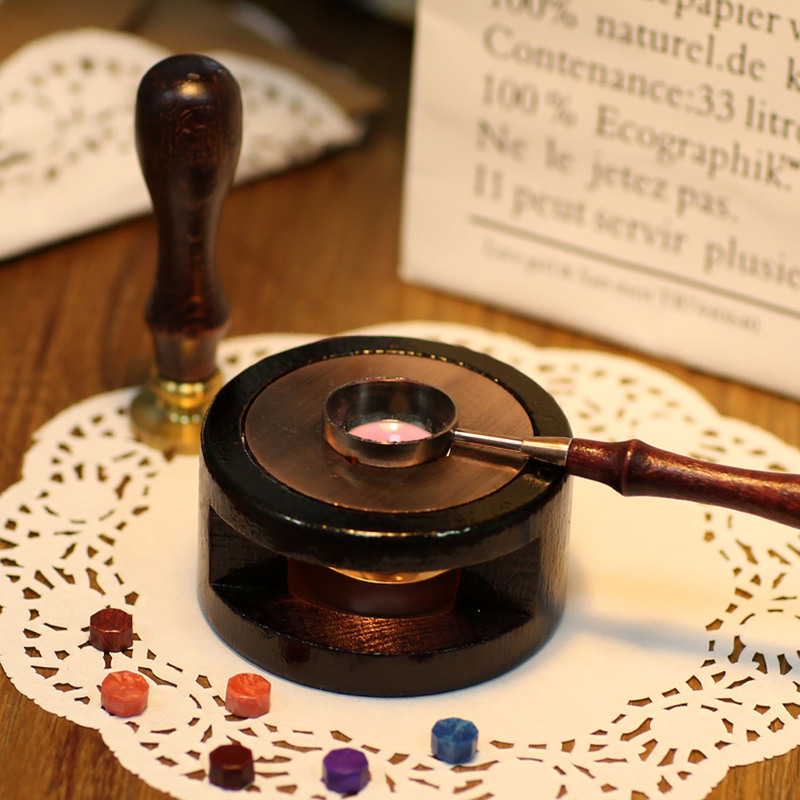 The spoon and melting furnace are used for melting enough wax to make a perfect stamp. Melting furnace is made of wood and metal, heat resistant, durable and with fine craftsmanship. Spoon is made of vintage copper material, easy to grasp, uniform heating and high efficiency. Easy to use and clean, just heat the spoon to melt the sealing wax beads, simply wipe it off with paper or tissue after use. Ideal for wedding invitations, maps, manuscripts, envelopes, parcels, cards, crafts, gifts and more. Note: Due to manual measurement, there may be small deviations.